Unfilmable? James Franco does not know the meaning of the word! The actor will never be accused of not trying everything at least once. Case in point: Franco’s latest effort to premiere at Cannes, an adaptation of William Faulkner’s brilliant and narratively complex As I Lay Dying. The promo trailer for the film has arrived and, as much as it pains me to say this, it looks pretty good. Southern gothic (just like Faulkner) and a little sparse (just like Faulkner), with lots of rough looking and hard-edged Southerners. Again, just like Faulkner. 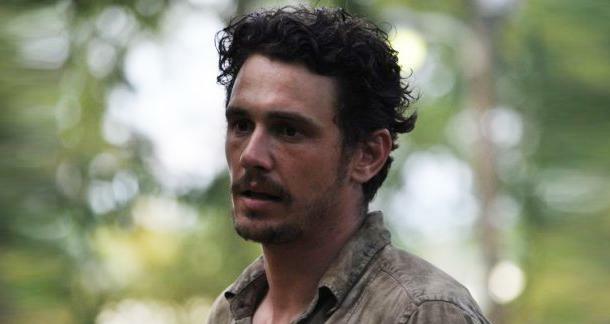 I was so wrapped up in my suspicions of Franco that I had not stopped to notice the truly excellent cast that he assembled for As I Lay Dying, including Tim Blake Nelson, Danny McBride (not acting like an idiot for once), Logan Marshall-Green and, of course, Jimmy himself. The story follows the attempts of the Bundren family to bury their matriarch in the town of Jefferson, forty miles from the family home. As simple a tale as that seems, Faulkner actually uses fifteen different points of view over the course of the novel – a major challenge for any filmmaker hoping to adapt such a work to the big screen. Add to that Faulkner’s signature vernacular and modernist tendencies and … well, any movie will have to be pretty spectacular. Does it look like Franco did his homework? I really can’t say. The trailer gives us only fleeting glimpses of the Bundren family and their tribulations, but how Franco did (or did not) manage the narrative structure remains to be seen. As I Lay Dying premieres at the Cannes Film Festival in the Un Certain Regard category later this month. As we all know, Cannes audiences are notorious for expressing their approval or hatred of a film with equal vigor and noise. Check out the trailer below. Does it look like Franco managed to pull this off?